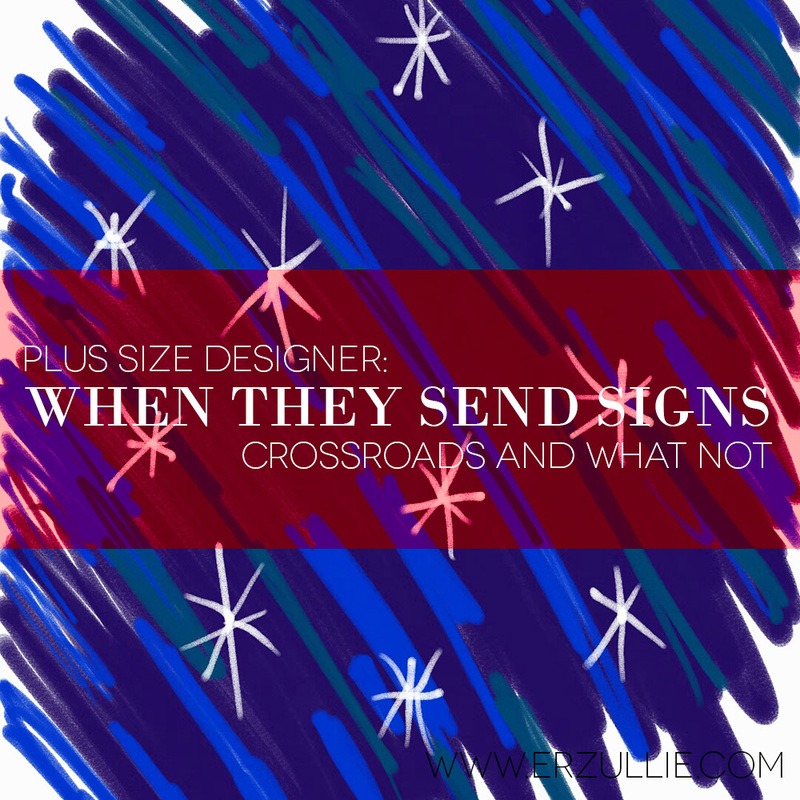 Erzullie Fierce Plus Size Fashion Philippines: PLUS SIZE DESIGNER: "WHEN THEY SEND SIGNS"
PLUS SIZE DESIGNER: "WHEN THEY SEND SIGNS"
I had a chat with an Erzulliesta in one of the events. It was her first time in the showroom and she was so happy to have "solo time" in it. She tried all of the items and bought a lot. She was very happy to finally find clothes that she loves in her size. At the register, she told me, "You should start making new designs again." I looked at her and smiled, "Yes, miss. As soon as we tie up some loose ends, we will." She paid for her items and with a happy feeling, she grabbed her Erzullie loot and headed for the door. "I'm serious --- you should keep on doing this. These designs are fierce. No one else can do this." I smiled back and nodded. We gave each other a "beso" and she headed out. I had this experience right after I "came clean" in one of the posts. As I told you ladies, I'm opening up and well, hopefully this will actually help me decide what's best --- for me and the brand. I know that there are a lot of amazing Erzulliestas ready to support us for what we do. Truth be told, there are times that I wonder if we are still good enough. But after shedding doubt on my own talents and skills, the Universe, as it seems, always try to calm my nerves. Maybe I should still give it a go. But even if I do, what path do we take? I am so insecure with my business instinct lately. I don't know why. But, I guess for now, I'll take the sign. After all, I don't have answers from within, might as well take answers from the outside.